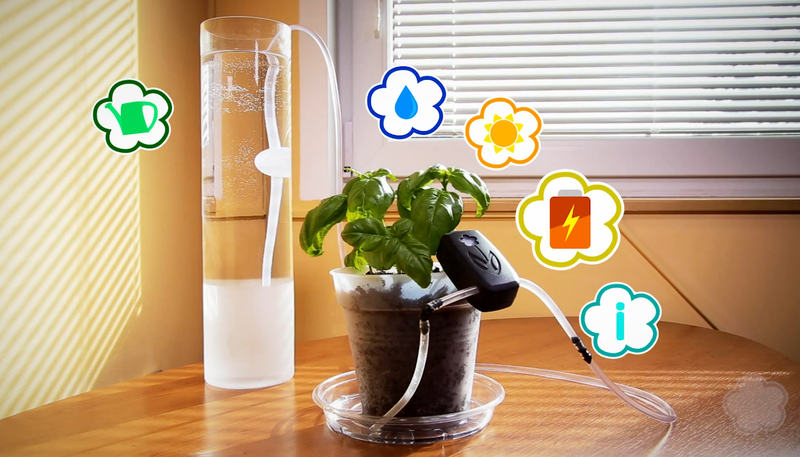 Daisy.si plant waterer is an all-in-one compact device. 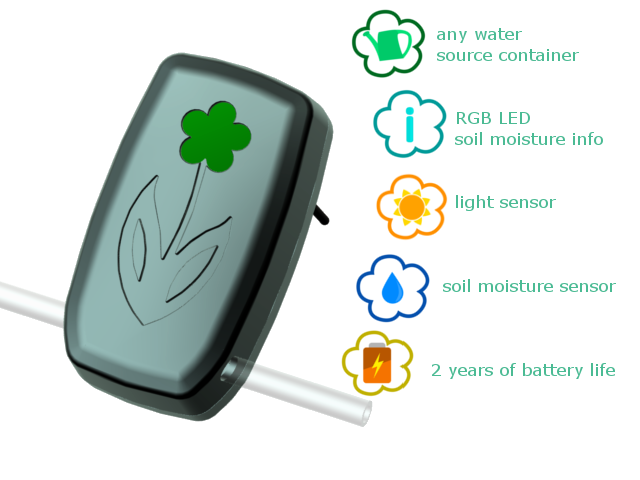 It consists of a soil moisture sensor, a LED light to signal the soil moisture content, a light sensor and an extremely advanced water dosing valve. It can be used anywhere, since it only needs a container with water, a small water tube and the daisy.si waterer.